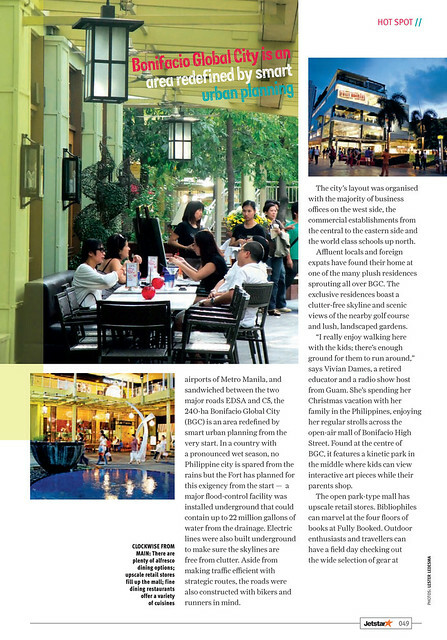 If you’re flying Jetstar Asia anytime this month of February 2012, do check out the Jetstar Magazine, the airline’s Inflight Magazine. 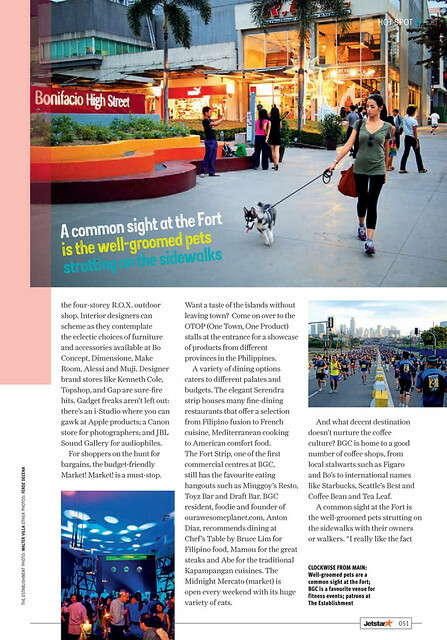 I have a 5 page story there on the Fort on how a military encampment morphed into Manila’s playground for the trendy and hip. 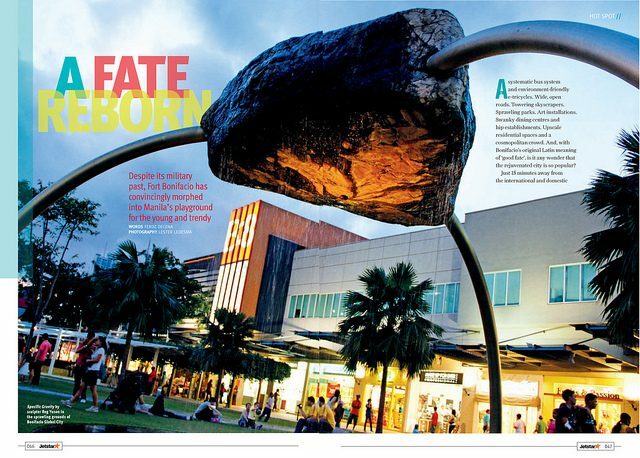 Accompanying the article are awesome photos from Lester Ledesma and Walter Villa. I also have a couple there on my own. Check out the pages here. 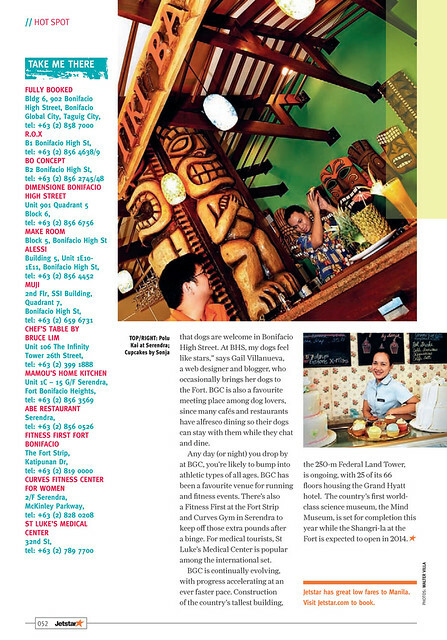 And if you’re also flying Cebu Pacific Air this February do check out the Cebu Smile issue. 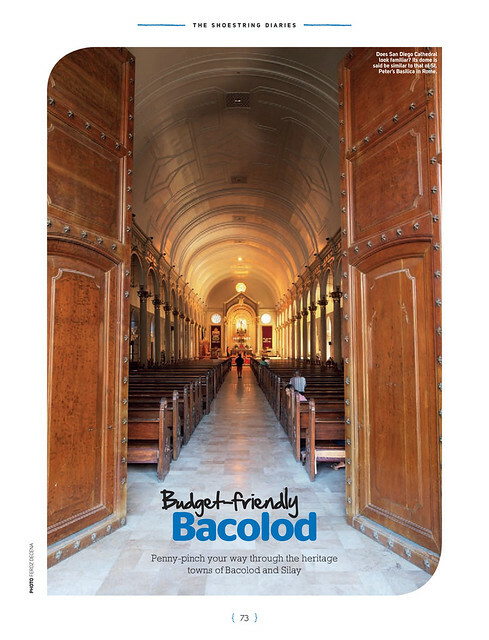 I got an opener photo for their Bacolod feature on this issue.